Please do not for get about the charity 2011 T.I. 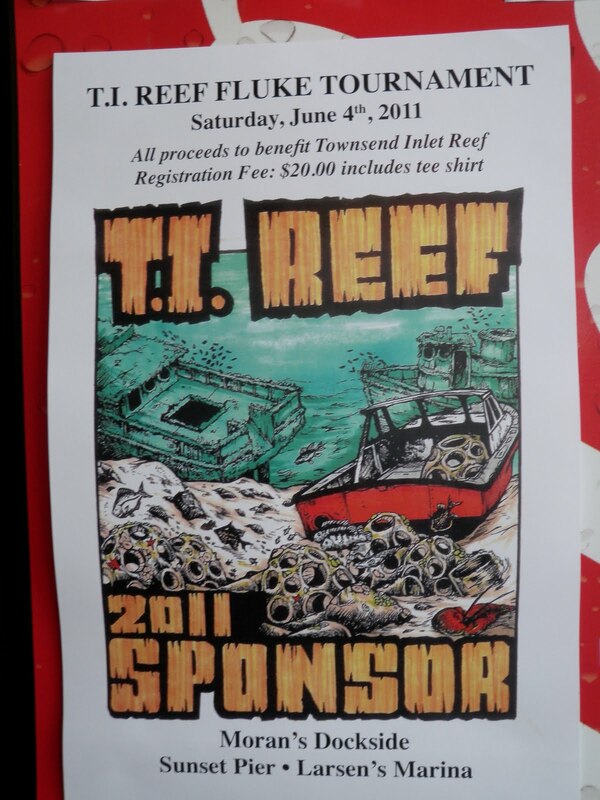 REEF flounder fishing tournament this weekend. For more info call me (609) 263-6540 it is for a really good cause. 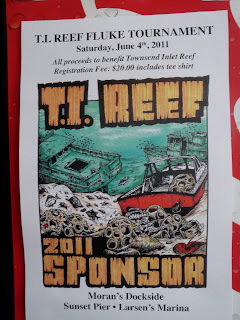 We all love fishing N.J. artificial reefs there for must all work together to keep them going. If you can not fish in the tournament please stop by and at least make the $20. donation and get your FREE t-shirt to help support the cause. Thanks Mike. 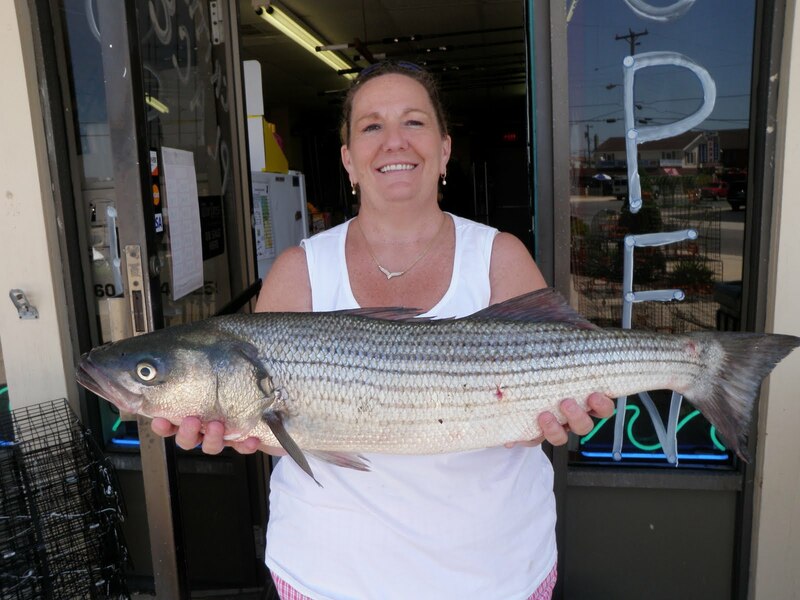 Peggy Cunningham (my mom) of Sea Isle City NJ had this 9 lb 8oz 31in striper last night at her “secret spot” on a YO-ZURI swimming plug. She also landed four shorts on different plastics including fin-s fish and bass assassins. There have been several other reports about these bass biting at night in the lights so get out there who knows how long these bigger bass will hang around. Mike Billups of Philadelphia PA caught a beautiful 26lb 2 oz Striper off the surf. The fish measured 43 inches. Mike came into the shop the day before for a complete set up, Tica TC2 rod, Penn Fierce reel, clams and some Fin Strike Pro Series striper rigs. We have a full line of bait and tackle with NEW inventory arriving weekly. Stop by and check us out if you have not already.